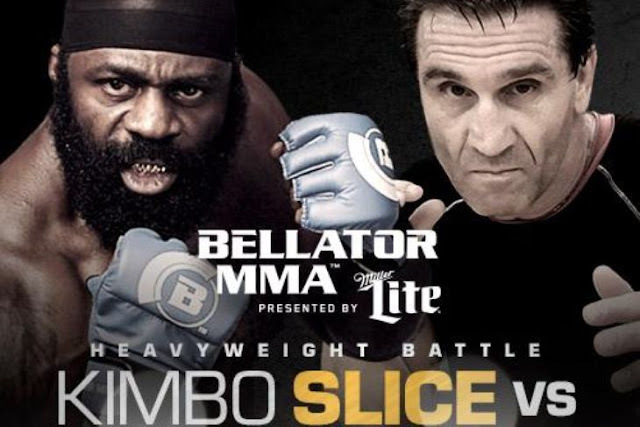 Watch the Kimbo Slice vs Ken Shamrock Replay Video - June 19, 2015. It's a great fight for the fighting legend. Understanding the difference between a work and a dive, let's examine the abysmal match up between Shamrock and Slice. The first factor which has been discussed is the long, largely strike-free clinch between the two men. The second factor which surprised many was how easily Shamrock got Slice down. It is worth considering that Slice's knees are ruined and he never adapted to the grappling game all that well anyway. In fact, Shamrock might be the best wrestler Slice has ever faced. He's always had this aura of this hugely talented guy would could never really make it big and eventually kind of stayed in his brother's shadow. It might be a little irrelevant nowadays, but not much more than a Kimbo vs Ken fight. Watch the full replay of the fight.